FAQ | Do I get a discount if I recommend Wheely? Help Promo codes and special offers Do I get a discount if I recommend Wheely? 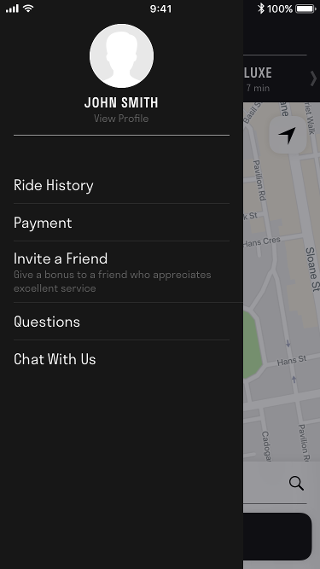 Do I get a discount if I recommend Wheely? Every Wheely passenger automatically receives a personalised promo code offering a 20% discount on their first journey. You can share this code with colleagues, friends and family. Whenever somebody signs up using this code and completes their first journey, you will each receive a 20% discount up to a maximum of 15 discounts. Discounts cannot be used together and remain valid indefinitely. 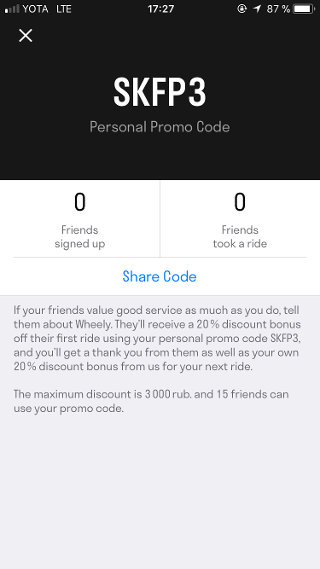 To invite someone with your personalised promo code, open the app menu and tap Invite a Friend.